LAKESHORE EAST — More than 500 people packed a Downtown hotel ballroom to catch a glimpse of what could be the next tower redefining Chicago's skyline. 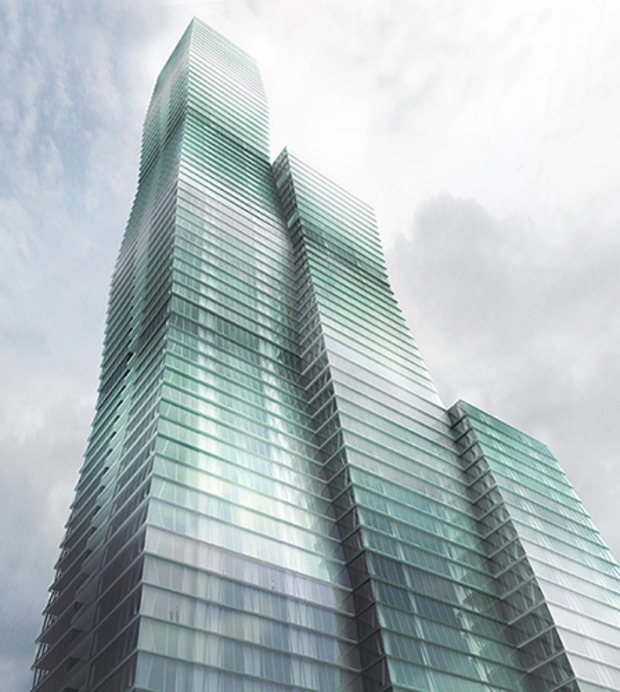 Wanda Tower at 381-383 E. Wacker Drive would rise 93 stories, as opposed to the previously reported 88 stories, Chicago-based design architect Jeanne Gang said at the meeting Monday night. 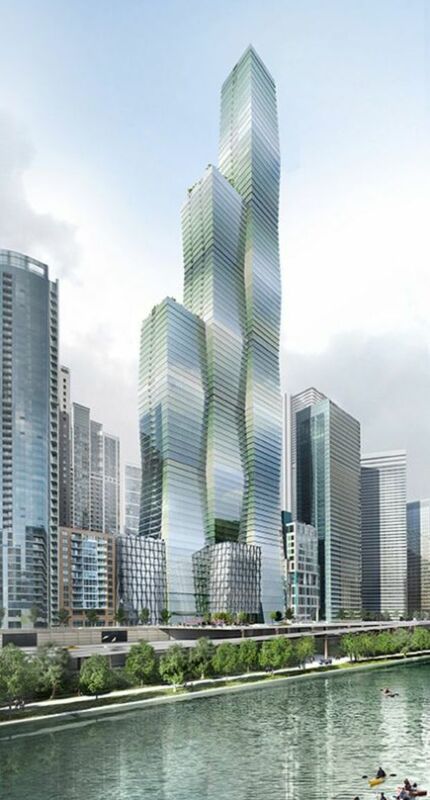 At 1,144 feet, Wanda would be the third-tallest tower in Chicago. RELATED: Toblerone Tower? Jeanne Gang says there's a chocolate inspiration for Wanda. The more than $900 million project, which Magellan Development hopes to open by 2019, would include 405 luxury condominiums and 169 hotel rooms. It would create 420 permanent jobs and generate $19 million in new real estate tax revenue for the city. Chicago-based Magellan, master developer of the Downtown neighborhood called Lakeshore East, is partnering with Chinese conglomerate Wanda Group on the building. "There's a lot of dollars flowing to Chicago as a result of this project," Magellan Executive Vice President Sean Linnane said Monday night at the Radisson Blu at 221 N. Columbus Drive, a hotel in the rapidly developing Lakeshore East neighborhood, which sits just north of Millennium Park. If built, Wanda would change not only the city's skyline, but its surrounding neighborhood as well. 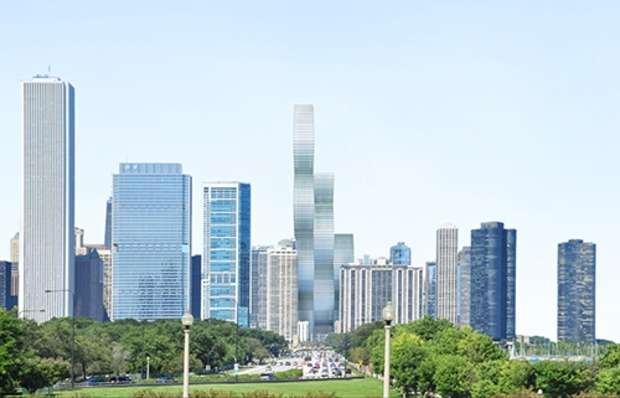 The tower would connect to the city's underground pedway system, and Upper Wacker Drive would run through the bottom of Wanda, connecting to Waterside Drive and the rest of Lakeshore East. Gang, a MacArthur fellow who designed the award-winning Aqua tower near the proposed Wanda site, said her latest project is inspired by the frustum shape seen in ice cubes or Toblerone chocolate. 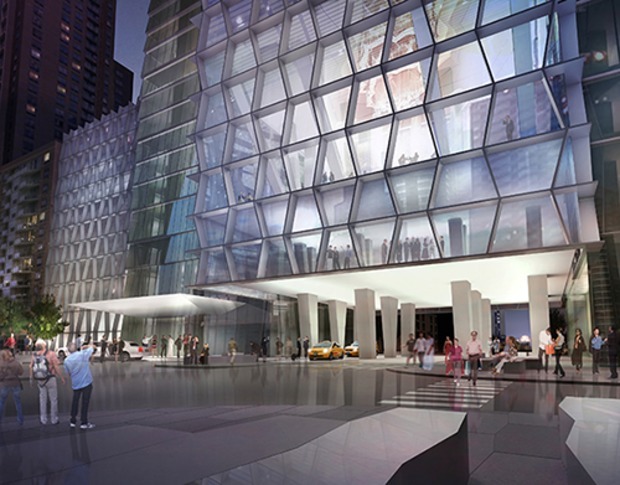 "Tall buildings, oftentimes, they're just a reflecting box and singular," Gang said. "Here, we're trying to work with texture at various scales so that from a human standpoint, you can see this variation." The revised design drew approval from the packed house, which included one man who said he was "looking forward to living in Chicago's new 'Gangland.'" The project requires a zoning change, among other city approvals, and Linnane said that, if approved, Wanda Tower would take more than three years to build. Magellan hopes to start construction next year. Ald. Brendan Reilly (42nd), whose ward includes the Wanda development site, said Monday that the meeting represented a first draft of the project, and his office would submit suggestions to the developer after fielding comments from constituents. "This is the very beginning of the process," Reilly said. "We want to make sure we get this right."